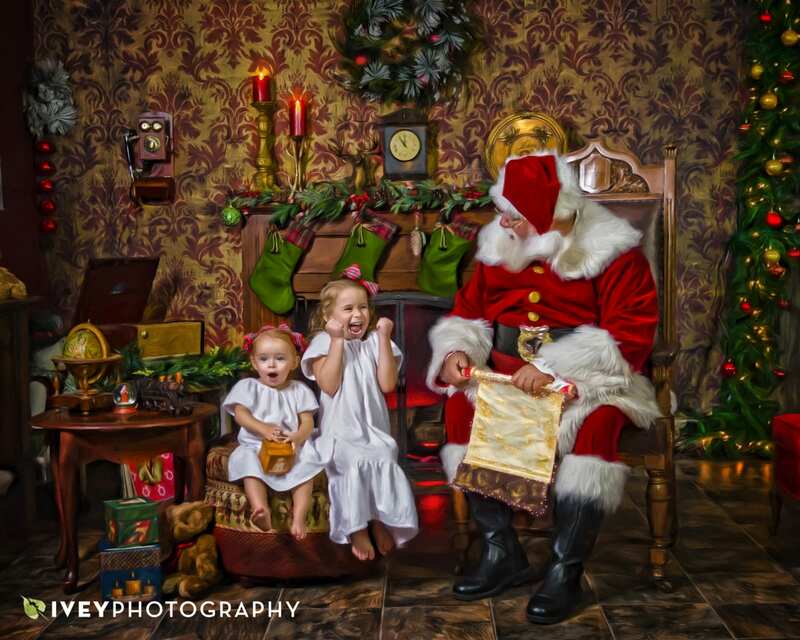 The Storybook Santa Portrait Experience is held each year from October through December. We offer children a unique opportunity at a new take on “pictures with Santa”. They will meet Santa Claus in a private setting, with up to one hour of one-on-one time. During your time with us, we follow a “script” that allows Santa to tell his story and allows the children to experience moments with him like never before. We are creating a storybook sequence of events to photograph for you. 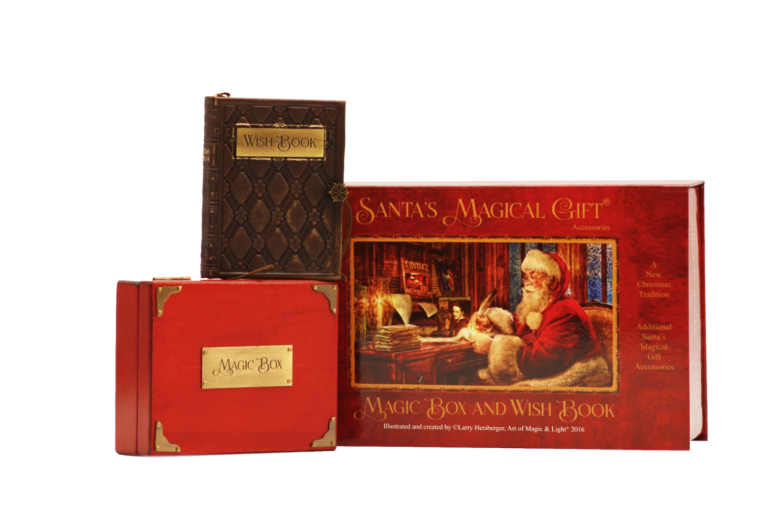 The entire process is designed to create natural expressions and interactions between your child and Santa Claus. 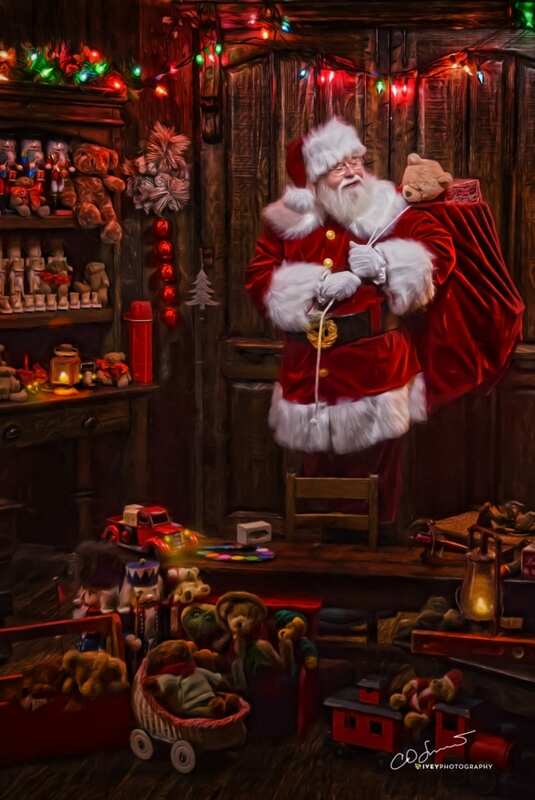 We will start in his living room, where he will confirm their names on his nice list, ask them what they want for Christmas, show them the North Pole, and show them how his Magic toy bag works. The real fun with Santa begins in the workshop, where Santa will ask for help to paint toys for other children. He will share the secret of how the Reindeer fly and how they make the trip around the world in one night. Of course, Santa will share his cookies and milk, and then finish up with a reading of ‘Twas the Night Before Christmas. Before they leave they will help him decorate his Christmas tree and say goodbye. Once we receive your inquiry, we will call you for a consultation and to confirm a date and time. Please have a few dates in mind. We sell out every year, so please call us if you’d like to verify a time before you pay your fees. Hand-finished art by PPA Master Craftsman Photographer, Chris Smith, M. Craftsman. Photog.